This orignal 70s shirt is highly unique. I have never seen anything like it. 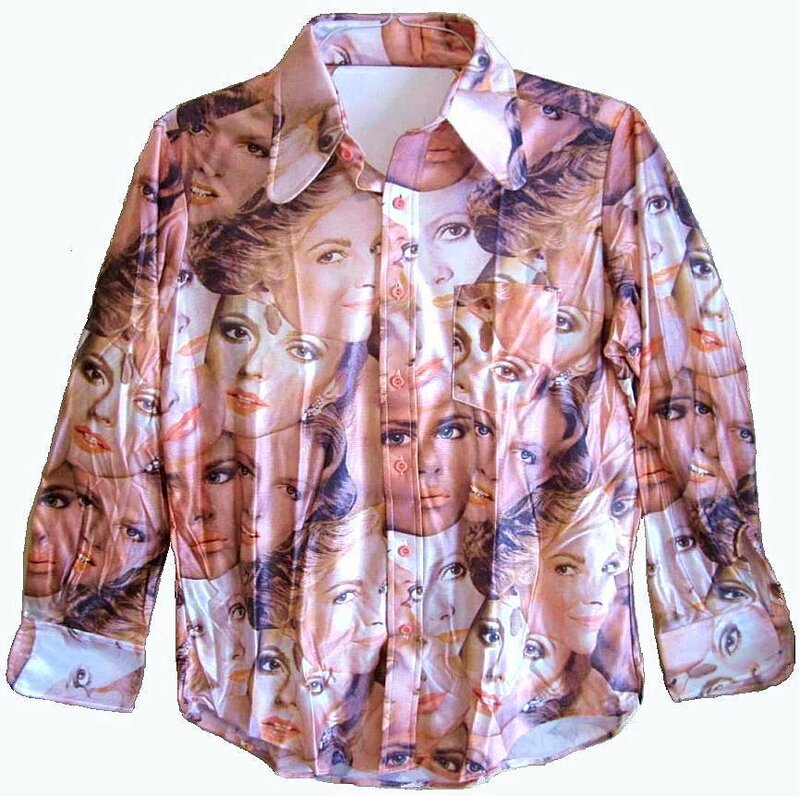 The never worn shirt is covered with model's faces. It's crazy. The fabric is very shiny and slinky. The main color is more Pinkish, a salmon pink. The never worn shirt's size is supposedly 16 - 16 1/2, but the shoulders are a today's medium. The shoulder size is just 18 1/4", although it is 45" around at armpit level. The sleeve length is just 31". The size on this will probably shrink when washed. The original price tag on the shirt is $400.00. It will fit a Today's Medium Sized Person. It is one of the craziest and most unique shirts I have ever seen.